D-28M Mamas and the Papas, Dreadnought Steel String Guitar from Martin & Co.
C. F. Martin & Co. announces the introduction of the new D-28M The Mamas and The Papas Custom Artist Edition. The edition will be limited to 100 special instruments. 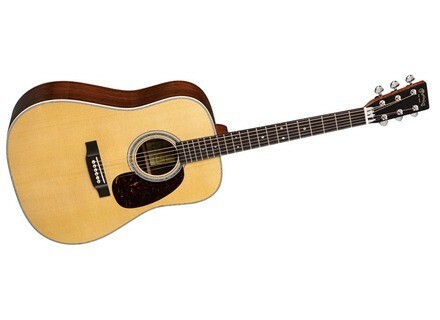 The new Custom Artist Edition is a 14-fret dreadnought. The top is made of Carpathian spruce, solid Madagascar rosewood on the back and sides, with a neck carved from mahogany. An ebony head plate features The Mamas and The Papas’ silhouettes inlaid in solid mother of pearl directly above the nut. Each guitar is equipped with MSP7200 medium gauge phosphor bronze SP Lifespan strings. From 1965 through 1967, The Mamas and The Papas released six singles that hit the top 10 of the Billboard Hot 100 and released four albums that reached top five of the Billboard 200, although the group disbanded after just four years. Diago Micropower9 Diago have introduced a new, compact-sized pedalboard power supply: the Micropower9. Two Notes Torpedo Live + PI-101 WoS Two Notes Audio Engineering has announced the upcoming release of Torpedo Live, a 100W RMS analogue reactive loadbox combined with DSP and convolution based algorithms, designed to deliver cabinet/microphone simulations, as well as the upcoming release of an update for its Torpedo PI-101 software plug-in; the Torpedo PI-101 Wall of Sound. Tech 21 Double Drive 3X Tech 21’s Double Drive 3X distortion pedal has undergone a Private Stock MOD designed to feature "more aggressive tones, a tighter low end, and a wider Level taper."